In the Summer of 2017, AAMFT voting members voted in favor of changing the structure of the association to go from a 2-tier Association and Division to a 1-tier Association system with component programs, also called Interest Networks. The passing of the vote initiated a number of changes that improve member choices and streamline leadership roles. Click Here to view Dr. Stone's Power Point Presentation. Medicare coverage is important for Marriage and Family Therapists (MFTs) and the Medicare beneficiaries they will potentially serve. 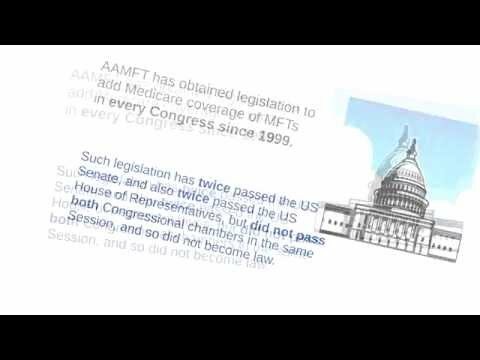 Learn more about this and what AAMFT is doing to gain Medicare coverage for MFTs. Read more about this on at http://www.aamft.org/iMIS15/AAMFT/Content/Advocacy/Medicare.aspx. Our calendar is always being updated. Please check back soon!